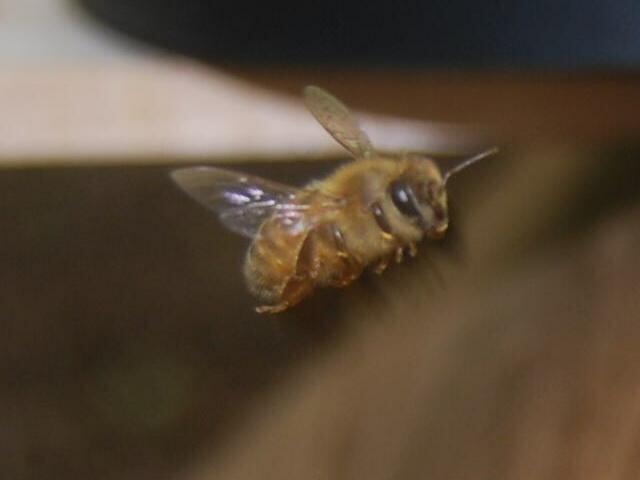 This Blog is about me becoming a beekeeper and encouraging others to become one too! If I can do it, I know you can. Start today! I did. Worker Bee Bringing Pollen Back to the Hive. Worker Bee Leaving the Hive to Forage for Pollen, Nectar, or Water. Great pics..especially liking the bee carrying the pollen. Also great that you added the links as additional resources. I’m a Black Female Beekeeper, I LUV my new hobby! I am a new (aspiring) beekeeper. Would you be interested in sharing on a podcast about your journey? Can you help me get started in beekeeping? Sure. Where are you located? A good way to start is to join your local beekeepers club. May I purchase raw honey from you? 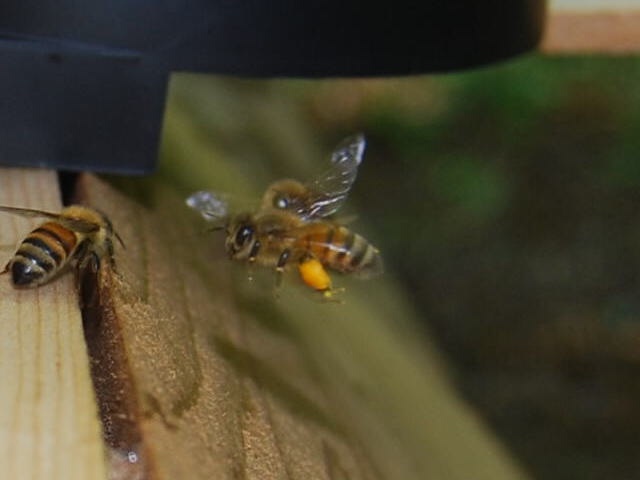 When I placed my first swarm in a hive they left, the second one I placed a frame of honey in them and later put a front feeder with sugar water and they are staying. What have been your experiences? Not really sure if the author of this blog attends to it any longer. I wrote some time ago with no response. Therefor, I will try to help you since I had no one to help me. This is only my first year beekeeping so I am not sure if I can be of much help but I will offer what information I have to give. I have a two top bar Kenyan hive boxes and started this spring. This will be my first Louisiana winter and I will see how it goes. I didn’t harvest this summer and am waiting til spring so that they have ample food for the winter. I can offer moral support, I guess, but you probably need questions answered that I can’t help with. I can direct you to some resources, though. What I will say is stay with it and stand on your resolve. I was NOT encouraged when starting out because here in Louisiana, beekeeping is for the “good ole boys” club and they did not want to help me. In particular, they discouraged the use of the top bar hive by trying to intimidate me into believing that they were illegal. Can you believe that? ILLEGAL!! and there I chronicle my attempts and have pics. In addition I have a complete list of beekeeping sites on the Earth Works page to help you get started. In box me privately if I can be of any further assistance. I know how it is in grad school and finances. I hope that you will stay with it. I would love to have you join me on my podcast to talk more about what you are doing and to encourage others in our community to begin this rewarding process. Can’t tell you how happy I am to know that you didn’t give up. The bees need you and our community needs you and the EARTH needs you! do you still have bees? Thanks for stopping by. Unfortunately, I do not sell any products. Greetings All, I’m an African American woman who has been interested in beekeeping for over 3 years, but I have been aware of the decline of the honeybee for more than 10 years. I’m trying to to make contact with all beekeepers of color for insight, why they you do it, the rewards and what I can expect. I’m currently reading beekeeping books and I’m glad that someone mentioned the Kenyan Beehive because I intend to go that route. Any feedback on the Flow Hive? I’m in the Atlanta Georgia area but intend to do Beekeeping in SC. Please reach out. 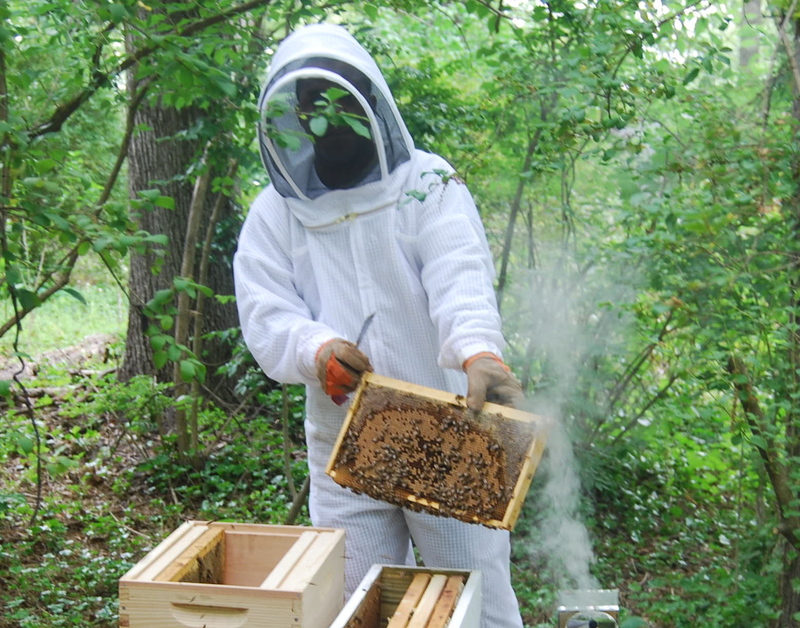 Beekeeping is a fun and rewardingly great hobby. There has been a decline in their population. Some say it has to do with the different pesticides used to kill pests. It is great you want to begin doing this because the more folks involved in beekeeping the better us and them. I apologize for just being able to respond. I have been really busy. I do not have any experience with the Kenyan Beehive– it sounds interesting. I have only worked with 8 frame hives and nuc hives. I keep them organic. Let me know how it goes with the Kenyan Beehive and Good luck! Awesome! Where are you located? Have you had any issues with the small hive beetles? That has been my nightmare! My bees seem to be doing well. Thanks for stopping by and sharing. Htp, I am an AfuRaKan Bee Guardian who has been guarding bees for more than six (6) years in Madison WI. While I was instrumental in starting the Mad Bees amateur bee keeping group it was an all white group. Welcome to all who take the plunge into Bees. There are a couple of essential books that will become more important every year you bee guard . Oh yeah, a Bee Guardian primary keeps bees because it’s a spiritual endeavor. We try to set up hives anywhere and everywhere. I take honey only when the hive becomes honey bound and never substitute corn syrup. ‘The Buzz about Bees Biology of a Superorganism’ Jurgen Tautz, cannot really express how important this volume is concerning how you should think about bees. The information on bee behavior and physics will expand your overstanding of this amazing expression of nature. ‘HoneyBee Democracy’ Thomas D. Sheeley, again a seminal work on bee behavior. I had the opportunity to attend a lecture by the author at University of Wisconsin,it was outstanding. Thomas has spent the type of time observing bees that exceeds description, and sanity. We however are benefactors of this diligence. I had intuited that bees were the most amazing creations on the planet, HoneyBee Democracy confirms it. These are books on Bee Behavior and Biology. If you need books on ‘how to keep bees’ let me know I have a great list. Hey AABK, I believe the group is still active but don’t know. I was not interested on being part of a all white group so dropped out. I’d love to join your group, as well. Where is it located? Greetings Jolivette (beautiful name), I hope you and yours are enjoying good health and peace of mind. Hey Afrurakan I also live in Madison and is a black man interested in learning about the becoming a bee guardian. i was gonna join the madbees group but they are in stoughton and i dont have means to travel that far. if you could reach me at kyalep1@gmail.com i would greatly appreciate it. Thank You for making this site. Very encouraging for a Sista like me. I’m Atlanta, and would love to connect with you. I am starting a small apiary for a small community garden. I live in Atlanta and I am starting a community garden with a apiary for Booker T Washington high school students and the community. I would love to connect with you on this. I am young, black and am interested in beekeeping. I live in Atlanta GA. I cant seem to find black people that are into beekeeping here. I was so happy when I found this. I am brand new at this. I dont even have equiptment yet. I am in the research phase. If you think that you could help me out plese Email me at Shonrondalennon@yahoo.com I am looking for mentors. I would first recommend you visit a beekeeper’s club and listening in on the information they have to offer. There, you will be able to not only network but also gain knowledge from experienced beekeepers, their challenges and successes. . I just wrote a blog about finding local beekeeping clubs. I will email you. Thanks for reaching out. I can definitely help but I find this platform to confusing to communicate. Please reach out at markerramsey@me.com. I am willing to share books, pictures etc.